On Sunday, October 16, 2016 join WSKG at the Art Mission and Theater as we celebrate expression through film! Activities of the Art Mission’s Binghamton Babylon Film Festival run throughout the weekend and Sunday marks the annual Rod Serling Film Festival. Winning student films w ill screen at 4:00pm and 5:30pm. Admission is free and there is a suggested donation in support of the Art Mission. Anne Serling will be on site from 3:00pm-4:00pm hosting a book signing. 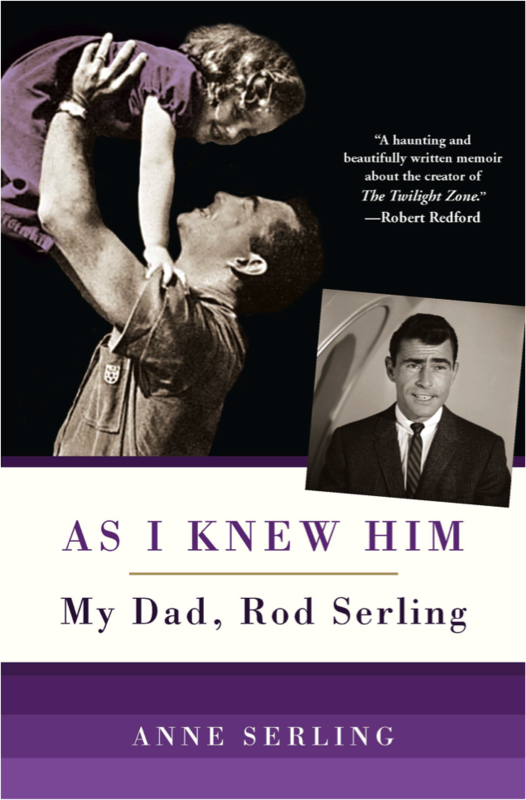 Her memoir, As I Knew Him: My Dad, Rod Serling will be available for purchase. Before visiting the Art Mission, why not retrace Rod Serling’s very steps in his hometown? The Greater Binghamton Convention & Visitors Bureau has compiled this Serling-inspired walking tour of Binghamton, NY. Love a film?! Attending the Fest? Share on Twitter with @WSKG and follow the conversation using #SerlingFilmFest. Special thanks to our Judging Committee: Leslie Campbell, David Chirico, Judi Hess, and Christina Kunzman; WSKG staff: Annie Cartie, Shane Johnson, Greg Keeler, Stacey Mosteller, Andy Pioch and Phil Westcott; our friends at The Art Mission and Theater, and Alexandra Rangel.